Normanside Country Club, Saturday March 21, 2015, 7:30pm. 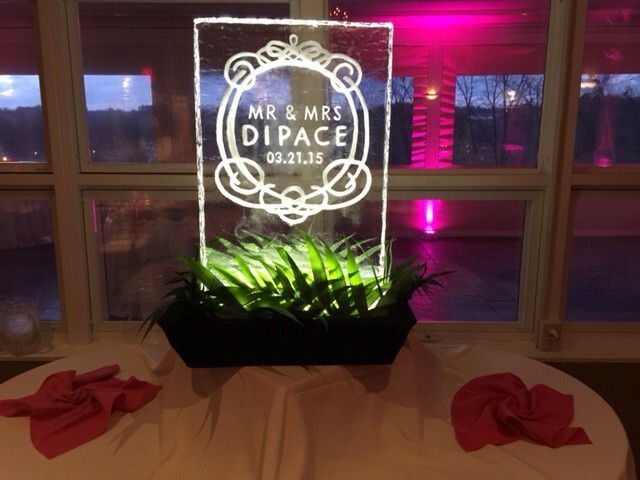 This was the setting for the amazing wedding reception of the new Mr. & Mrs. Blake and Samantha Dipace. 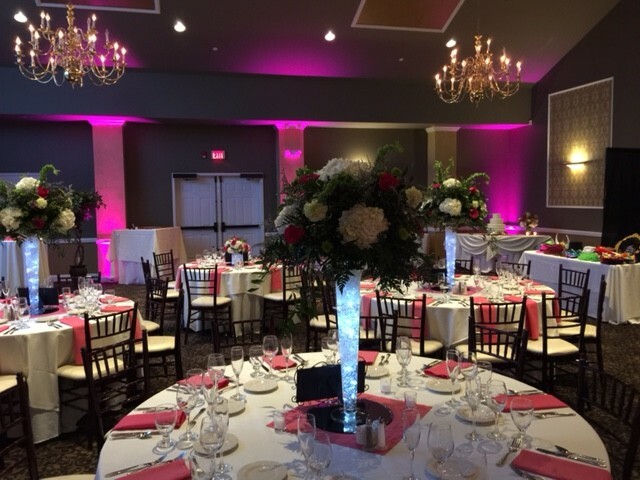 The new bride and groom choose to incorporate pink up-lighting to enhance the look of the ballroom at the country club. 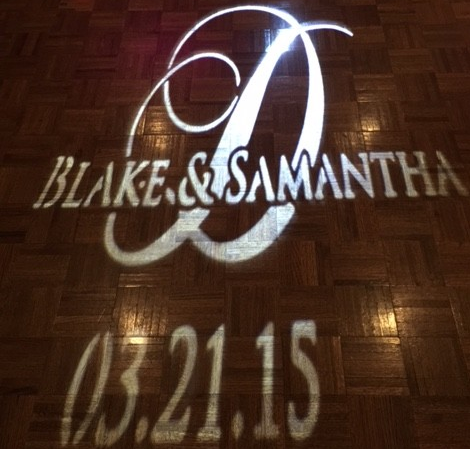 They also had a custom monogram which was displayed on the dance floor. Once the guests arrived, they were invited into the heated, enclosed patio for their cocktail hour. We also chose to place some up-lights into the cocktail hour room as well. 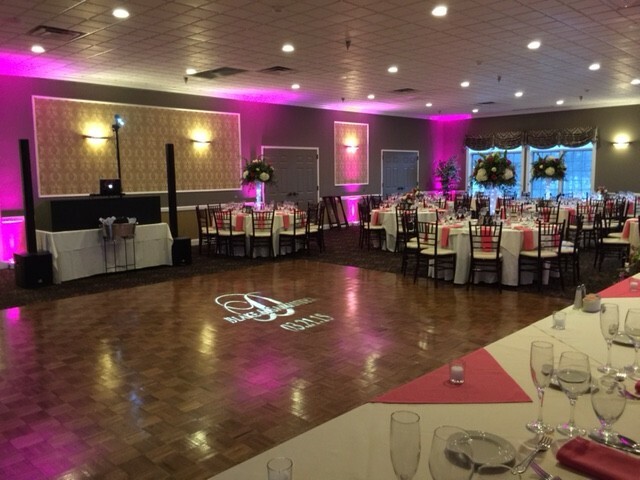 On the wedding day, DJ Mike showed up early to setup the outdoor speakers / microphones that he would need, as well as get his booth setup in the reception venue. He seamlessly coordinated with our other vendors to make sure the whole day went off flawlessly. When, towards the end of the evening, the party was really going strong, he even stayed on an extra 30 minutes so that our guests could enjoy themselves further! We could not be happier! During the vendor selection process, my husband and I visited 2 other DJs (that the planner had setup…) DJ Mike was the most straightforward and understanding of the bunch. 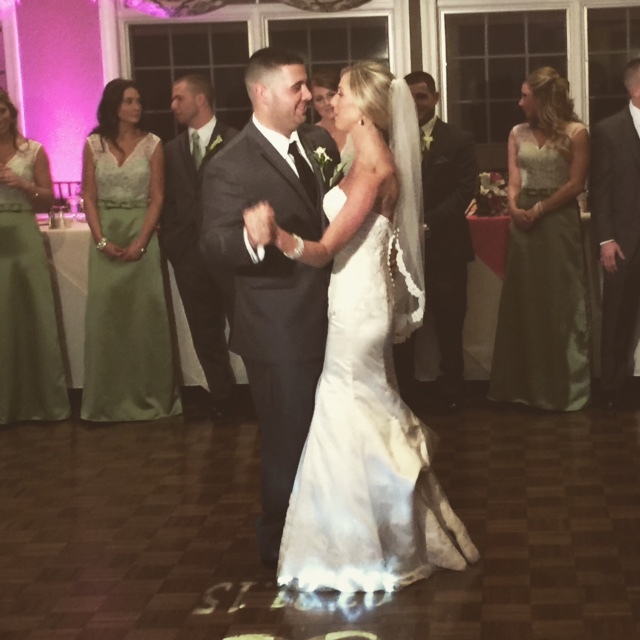 He was able to pickup on the “vibe” of our wedding and provide DJ’ing services to match – exactly what we were looking for. Thanks DJ Mike!